In recent photography news, William Optics from Taiwan has posted a Kickstarter project to make a flatfield Petzval lens which claims to be the world's sharpest 250mm lens. Cough up $648 to get in on the campaign! The FAA has announced that as of February 25th, all consumer drones must have the registration number posted on the outside of the drone. Camera Rescue, a Finnish company, has preserved 46,000 analog cameras and intends to save 100,000 for future generations. Kosmo Foto has announced the release and are taking pre-orders for a new mono 120 B&W film. In recent Photograph news, DJI is implementing a Geospatial Environment Online 2.0 system as a safety zone replacement for airports. ProGrade Digital has expanded beyond hardware with a digital recovery program. Three legged Thing is releasing a new L-bracket called "Ellie". A photographer found a Fujifilm digital camera that was dropped from Angels Landing in Zion National Park 4 years ago and is looking for the owner to return the SD card. Watch the podcast for more details! 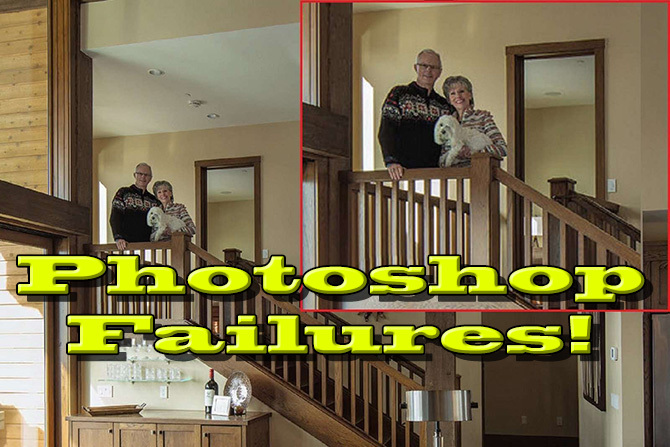 Sometimes even the digital professionals make serious errors when manipulating images with Photoshop. Fred and Jim have found a few and share them on this episode of The Fotobug! We hope none of our viewers make these obvious mistakes! 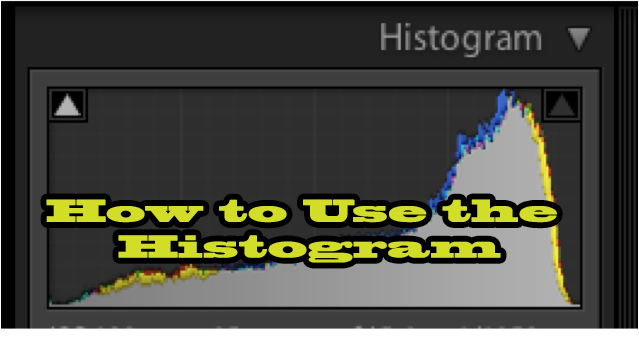 If you find any glaring errors in published images, please send them to us! 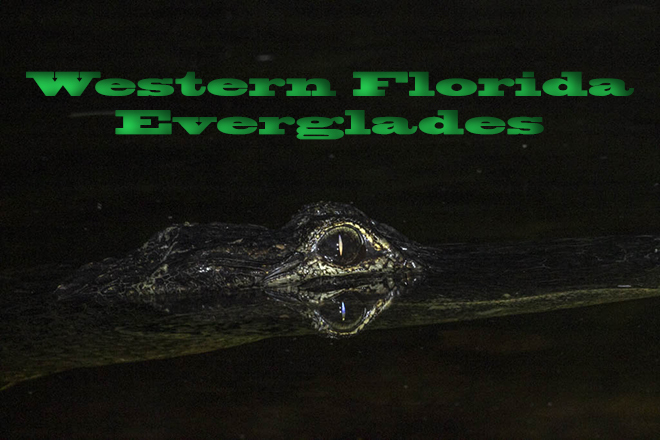 Please subscribe to the new Fotobug Youtube channel!! Bad news for one of our sponsors, the Hunts Photo store in Manchester, New Hampshire was broken into just before Christmas and the thieves made off with $50,000 worth of camera gear. This was the second break-in in four months. Hopefully the thieves will be captured soon. The open source program Darktable, which is a Lightroom like program, has been recently upgraded. Darktable is a free download for Mac, Windows and Linux. A recent study in the Journalism and Mass Communications Journal highlights how photographs taken by non-professionals leave viewers less engaged. 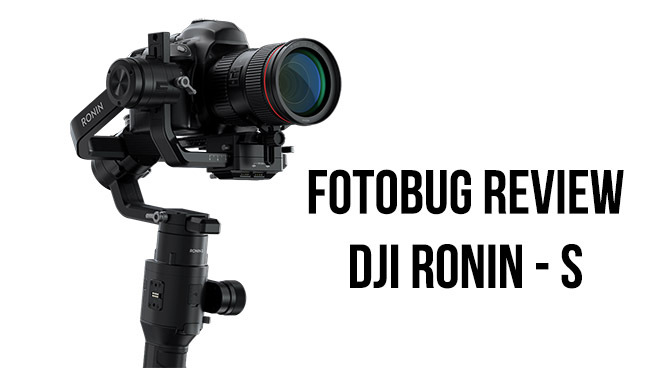 The Fotobug guys review the new gimbal from DJI, the Ronin-S. Gimbals are becoming more important and more prevalent for video makers wanting to improve their videos by capturing smooth Hollywoodesque moves. The Ronin-s is an affordable 3-axis option from DJI, which has moved into professional gimbals in a big way. The Ronin-s currently supports a number of cameras to control focus triggering the camera on and off - more cameras are being added all the time. A number of accessories are also available including third party accessories. The unique design of the gimbal with the 45 degree rotating motor which allows the LCD view screen to be seen while operating the gimbal in normal or flashlight mode. DJI has also released an app which can control the gimbal including timelapse, tracking and panorama modes. Priced at $749, it went on sale over the holiday for $549. Jim and Fred are eager to review the new Mavic Phantom 2 Zoom, but first, recent photo news! The Jackson Hole Travel and Tourism Board is now asking visitors not to geotag specific locations when visiting Wyoming's National Parks to keep everyone from going to the same spots. The Colorado Tripod Company has released the first titanium tripod system. The hollow ball and tripod are now on Kickstarter for a support price of $399. 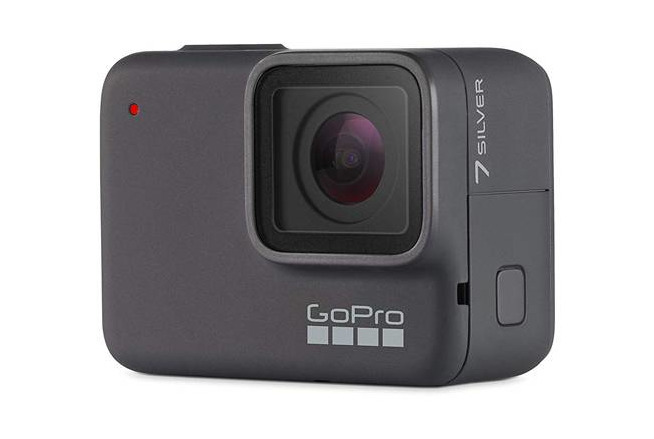 GoPro has announced it may be bringing its production back the the United States due to the tariff concerns. A drone may have struck a 737 and damaged the nose of the plane. In addition, a number of drones flying near an England airport caused the airport to be shut down. At least two people have been arrested. DJI has also announced a new Mavic Enterprise drone with twin cameras - one is an Infrared camera - release price is $2699, For these stories and more, tune in to the podcast! DJI is now the leading manufacturer of drones for consumers. 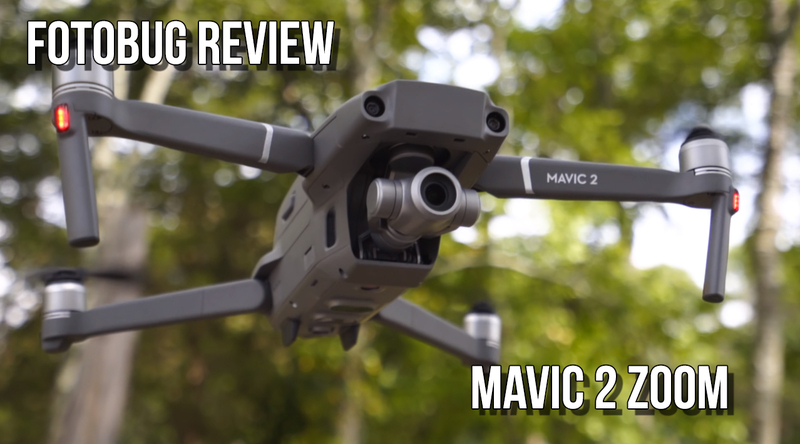 Jim and Fred review the latest version of the Mavic 2, which comes in two models - The Zoom and the Pro. This review covers the Zoom model. Both drones are identical except for the cameras. The Zoom features a 1/2.3" sensor but the camera is fitted with a 2x optical zoom. The Pro model has a Hasselblad branded camera with a 1" sensor and a variable aperture, but no zoom. Both models features 360 Obstacle avoidance in some flight modes, 31 minute flight time, low-noise props, 44 mph in sport mode, and Occusync 2.0 Wifi for sending HD video to the transmitter from up to 5 miles away. The Mavic 2 Zoom has a MSRP of $1249 and the Mavic 2 Pro is listed at $1499. Be sure to check out and subscribe to our new Fotobug YouTube channel featuring a free Photo course!